When minuscule differences make for vastly different values. It’s well nigh impossible to pull of a successful watch auction without Rolex – and of course Patek Philippe – and so it is that Phillips’ The Geneva Watch Auction: Five in mid May has more than a third of the catalogue made up of Rolex watches. They range from the affordable, run of the mill Oyster to the multi-million dollar ref. 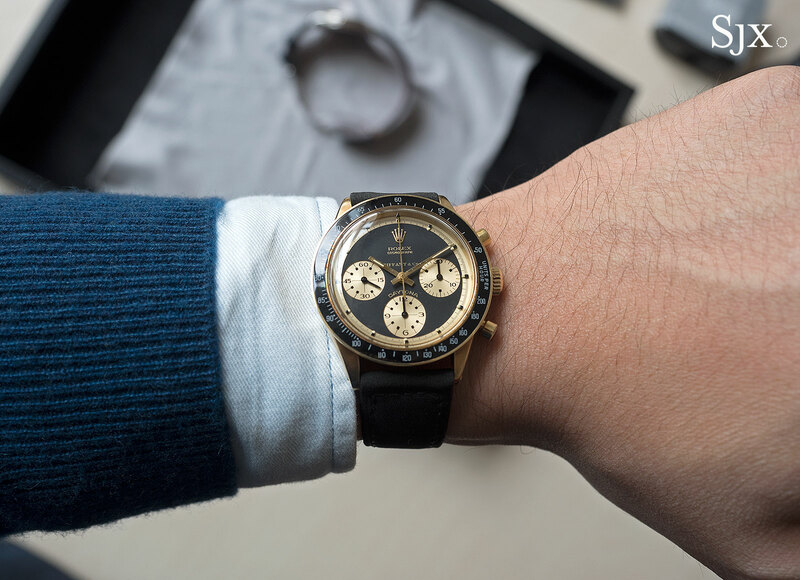 6062 “Bao Dai”, and million-dollar Daytona ref. 6263 “Lemon Dial” (pictured above). But because it is Rolex, a brand distinguished by the incredible uniformity across its products interspersed with slight variation, some of the highlights are strikingly simple. That’s perhaps encapsulated best by lot 117, the ref. 6088 “Galaxy”, circa 1951 and worth almost US$400,000. 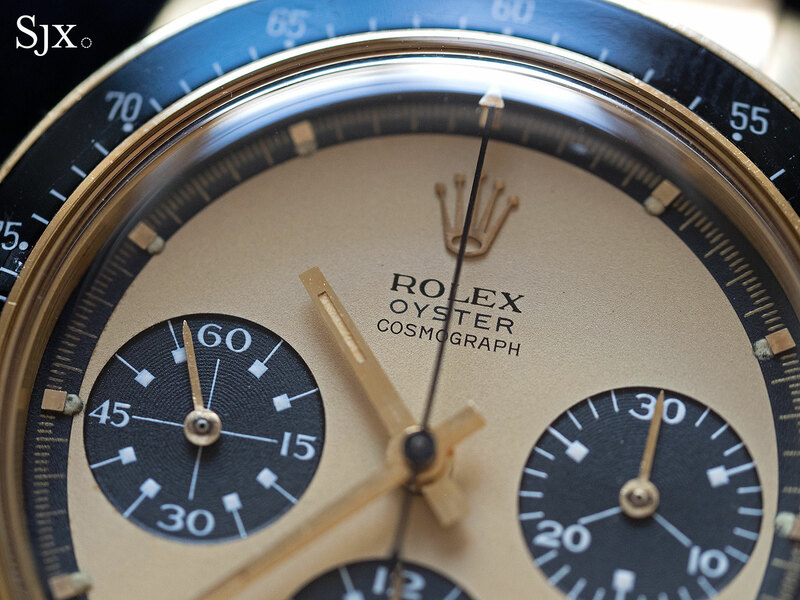 Unusually, the Galaxy is neither complicated nor a rare sports model like the Daytona, or even one with a fancy backstory, instead it is an ordinary, time-only “Big Bubbleback” with a special dial. Finished in glossy black lacquer with “gilt” print and right stars for hour markers, it is just one of four known black dials featuring star hour markers (silvered dials with star markers make up another four). 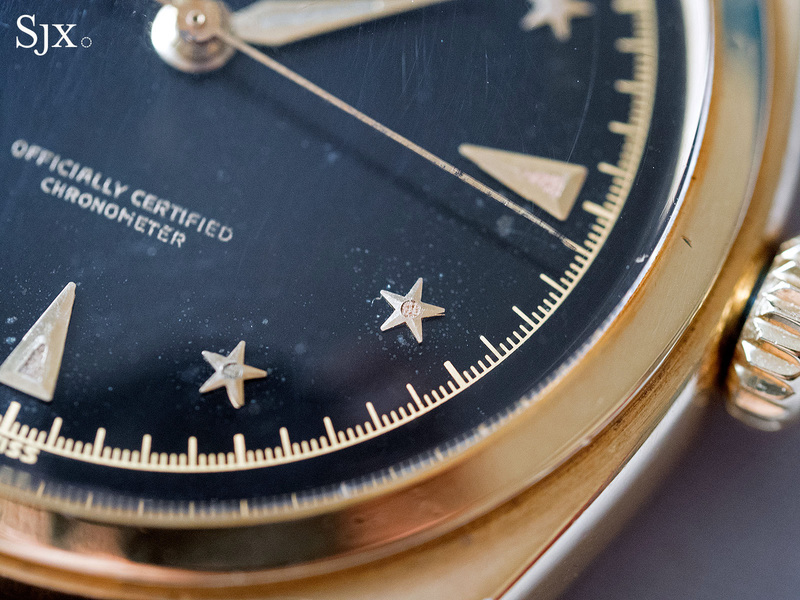 Not only is it extremely rare, the star dial is also reminiscent of the desirable ref. 6062 “Stelline” triple calendar, which ranks even higher on the value spectrum. 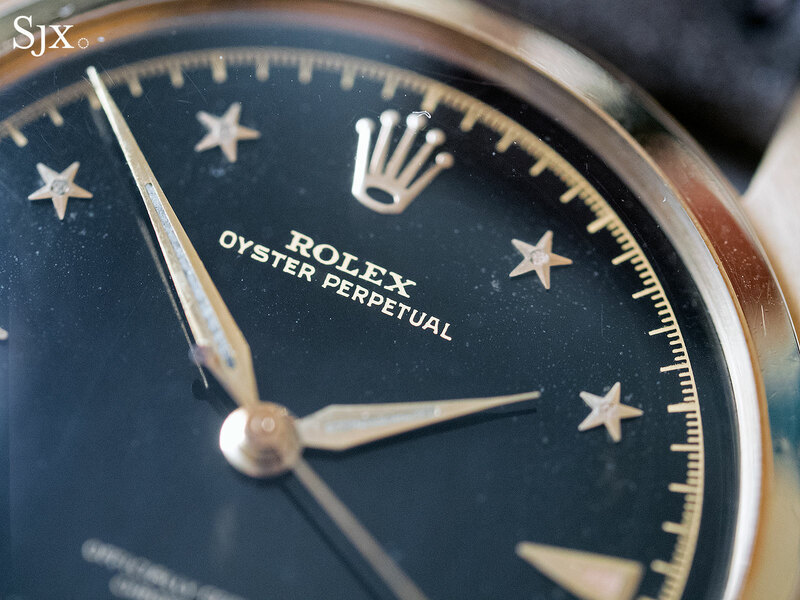 Dial aside, the rest of the watch is ordinary, though it helps that at 36mm – the “Big Bubbleback” was one of the largest Rolex models at the time – the yellow gold case is relatively sizeable for the period, making it suited to modern tastes. And both the case and dial are in fine condition, with minimal signs of age. 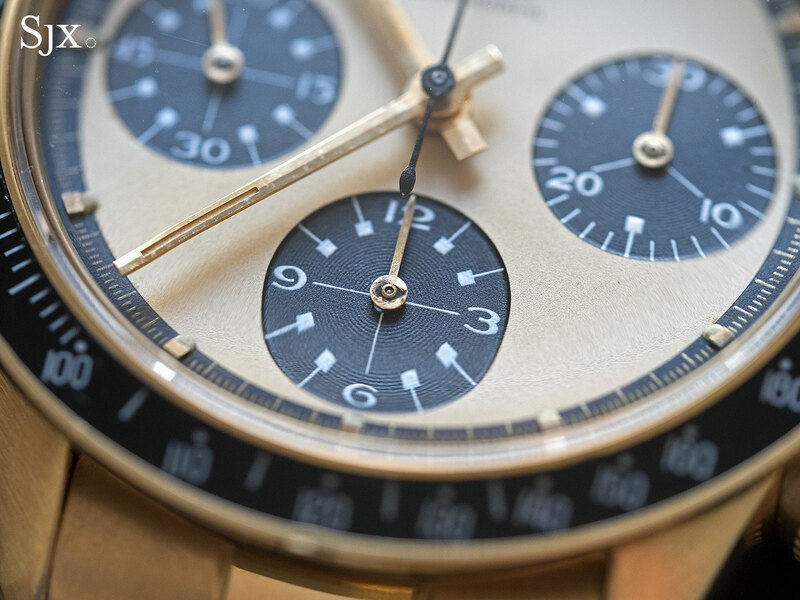 This very watch sold at Christie’s in 2011 for SFr363,000, and now carries an estimate of SFr200,000 to SFr400,000. 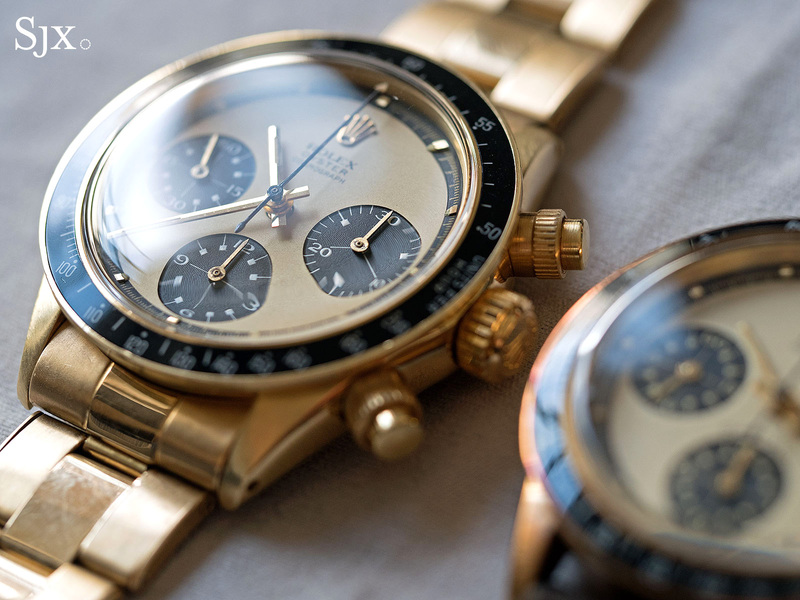 That value will confound sceptics, but the watch will likely live up to expectations, especially given a near identical watch sold for SFr425,000 at end 2015, illustrating the powerful forces that drive the market for vintage Rolex. It’s noteworthy that a day later in Geneva Christie’s will offer a Oyster ref. 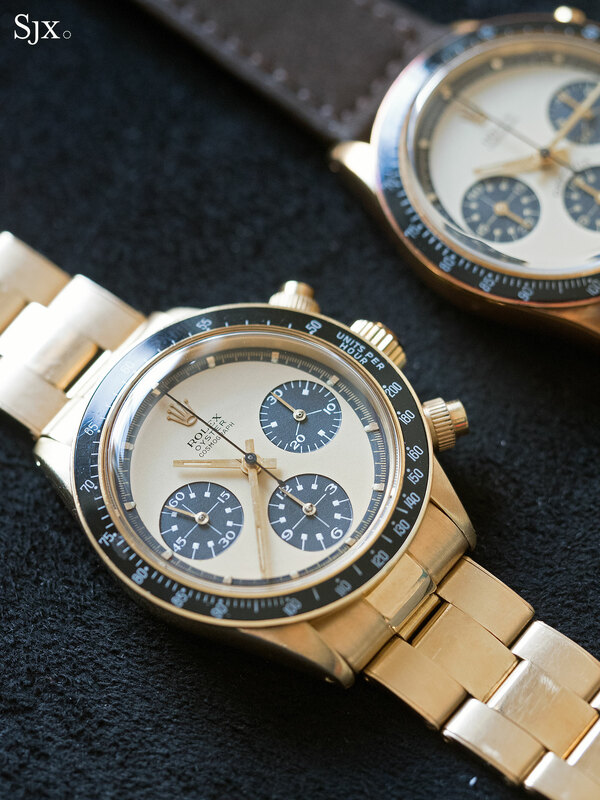 6098 with a silvered honeycomb dial featuring star markers with an estimate of SFr80,000 to SFr120,000, meaning two examples of just eight known will be sold over as many days. Another Rolex distinguished by its dial, but one that is materially unique and beautifully artisanal, is lot 201: the ref. 8382 cloisonné “Neptune”. 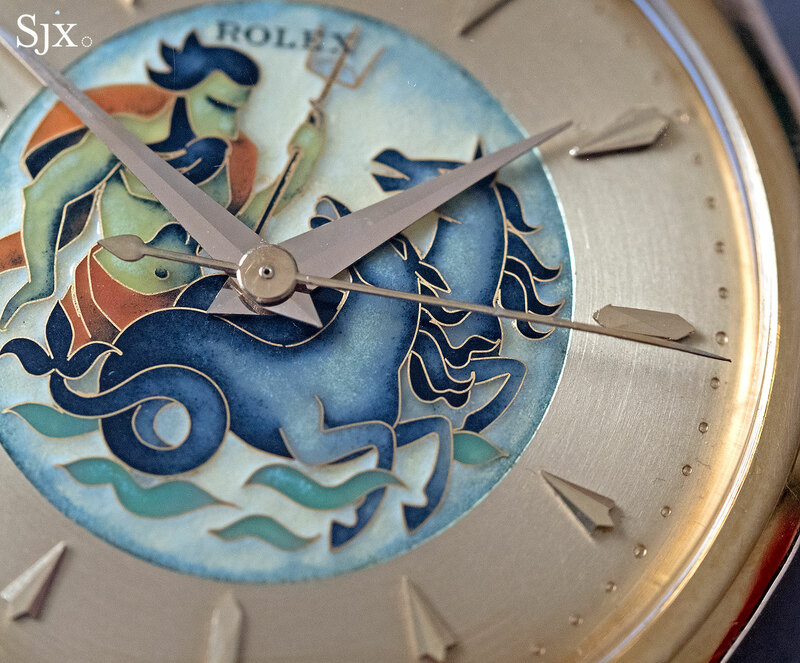 The dial is a multi-coloured depiction of the Greek god of the sea, finely executed in cloisonné enamel. 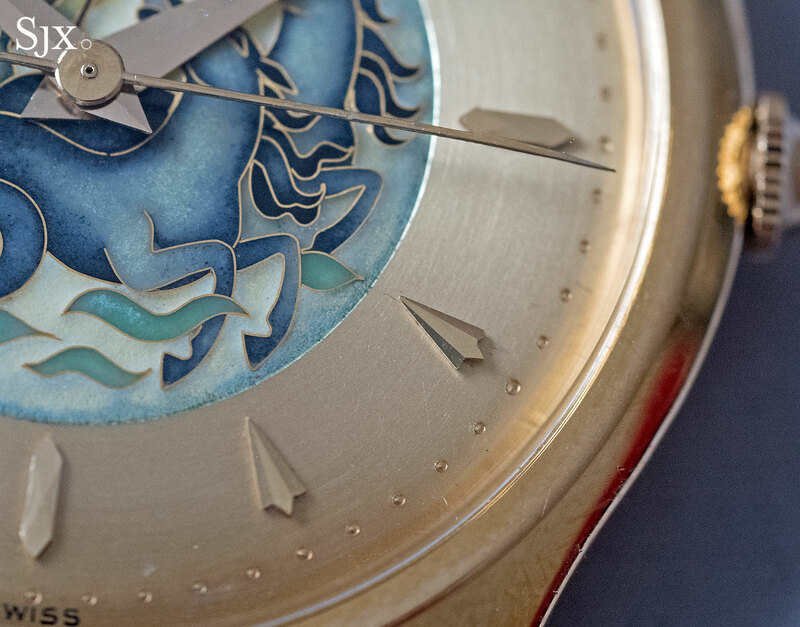 Like many other cloisonné dials of the mid 20th century – the golden age for this particular craft – this was made by Stern Frères, the Geneva dial maker once owned by the same family that owns Patek Philippe. This dial was produced by Nelly Richard, a noted enameller who produced a handful of similar dials for Omega. 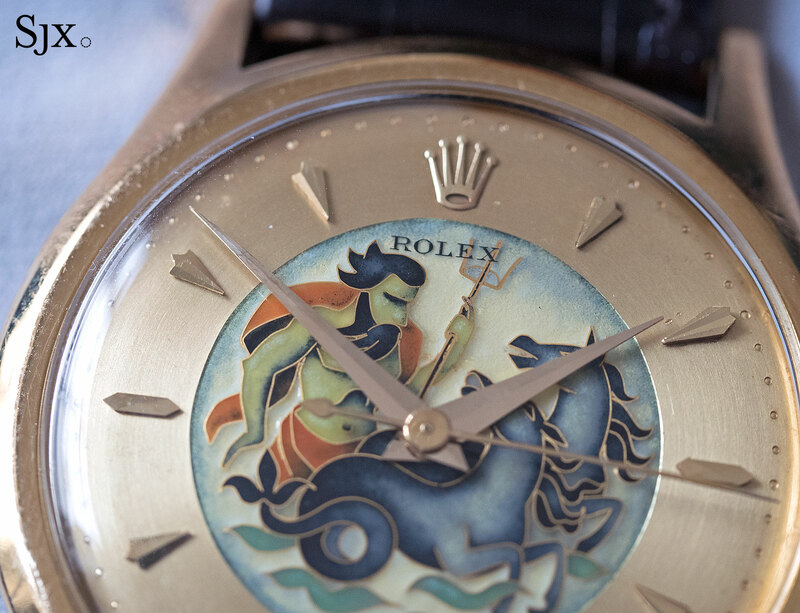 Intriguingly, an excerpt from the archives of Stern Frères shows that Ms Richard was paid SFr86 for the Neptune cloisonné dial, and only SFr68 for a dragon cloisonné dial that was also delivered to Rolex, indicating the complexity of the Greek deity. Only three Rolex watches with a Neptune cloisonné dial are known, all with a different case style, making each a one-off creation. This is a ref. 8382, with a largish and slim 37mm case equipped with a hand-wound movement. The ref. 8382 is estimated at SFr300,000 to SFr600,000, which is multiples of watches with identical dials but different branding would go for. 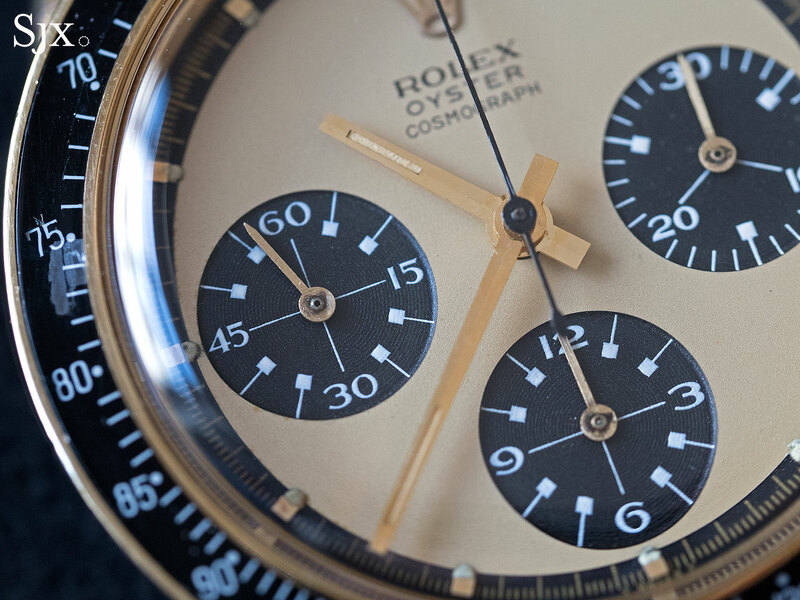 More conventionally collectible is lot 82, the Rolex GMT-Master “UAE Quraysh Hawk”. This is a ref. 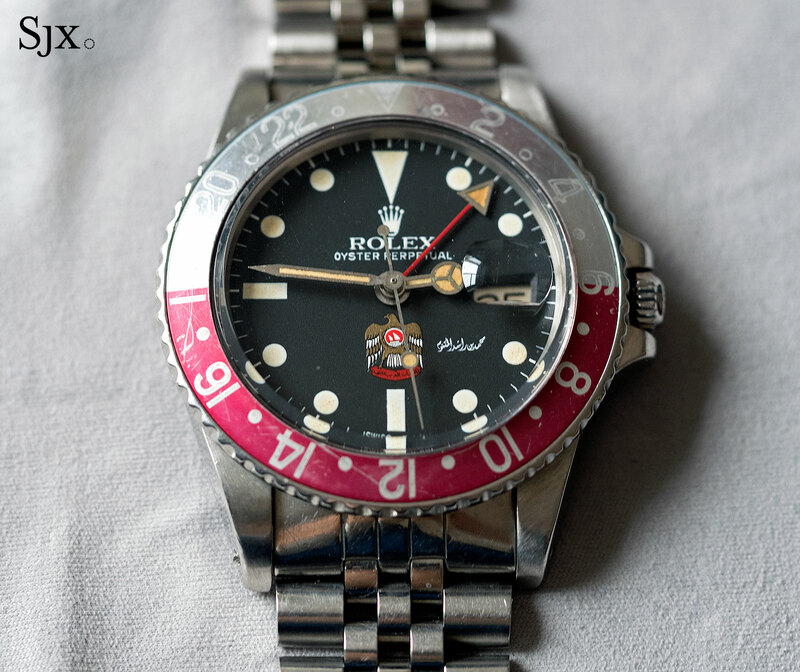 1675 GMT-Master from 1978 with a dial that’s both desirable and familiar, as well as a fashionable faded bezel. 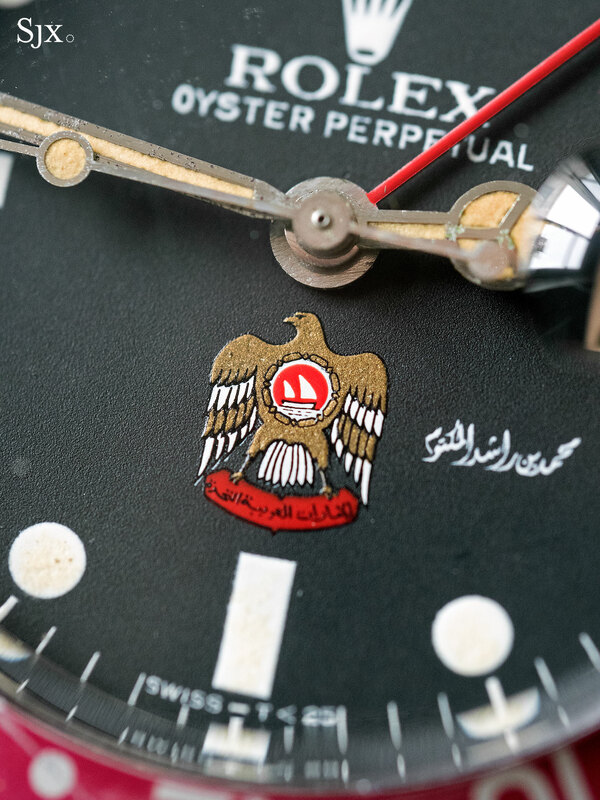 The golden falcon emblem of the United Arab Emirates is emblazoned on the dial at six o’clock, and more unusually, the signature of Sheikh Mohammed bin Rashid Al Maktoum to its right, instead of the typical Ministry of Defence notation. 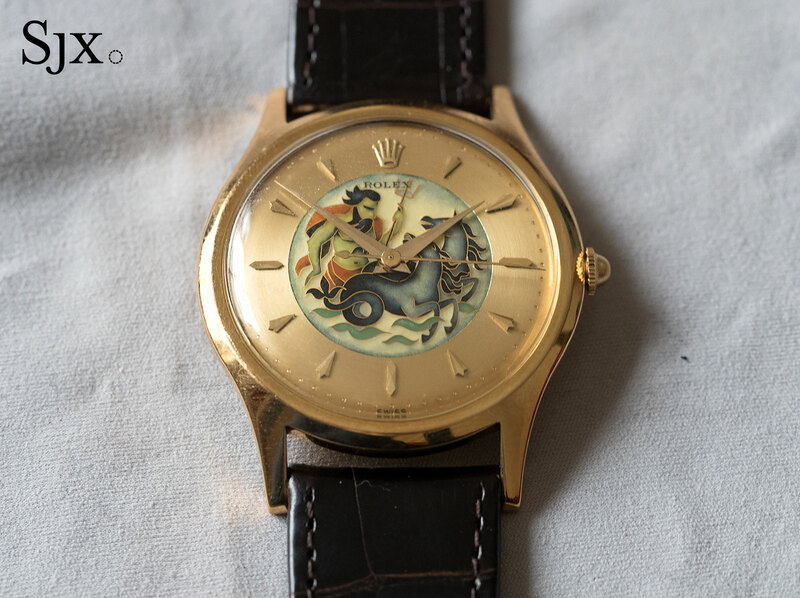 As with most watches featuring national crests of Arab states that were gifts for dignitaries and civil servants, this watch was given to helicopter pilots of the Emirates’ Air Force. The signature of Mohammed bin Rashid Al Maktoum, then the UAE defence minister and now its Prime Minister, indicates the watch was likely gift from the Sheikh himself. 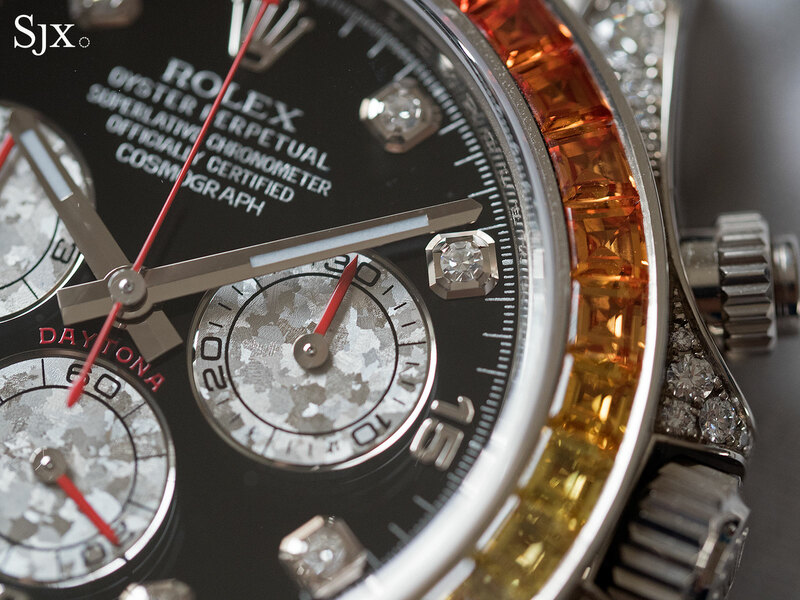 The GMT-Master is estimated at SFr70,000 to SFr140,000. Similarly related to the Middle East is lot 22, a Rolex Day-Date 40 in platinum with an Eastern Arabic dial, one of a pair of unusual contemporary Rolex watches in the sale. Produced in limited numbers and sold only in the Middle East, this Day-Date 40 has the hour markers, day of the week, and date in Arabic script, harking back to a long tradition of custom dial watches produced for the region. 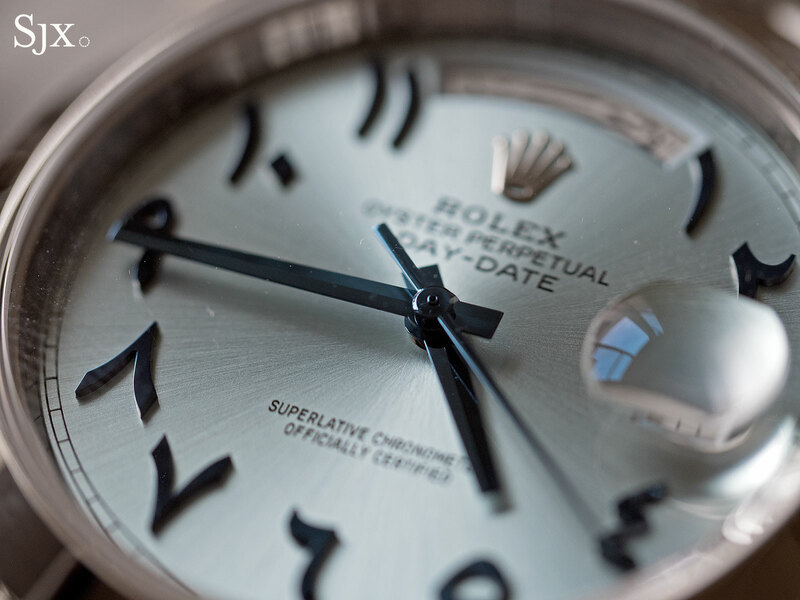 The case is 40mm in diameter, while the dial is a pale metallic blue that is only found on platinum Rolex watches. Inside is the calibre 3255, a latest generation movement with all the innovations developed by Rolex in recent years, including a redesigned escapement, extended 70-hour power reserve, and improved gear train. 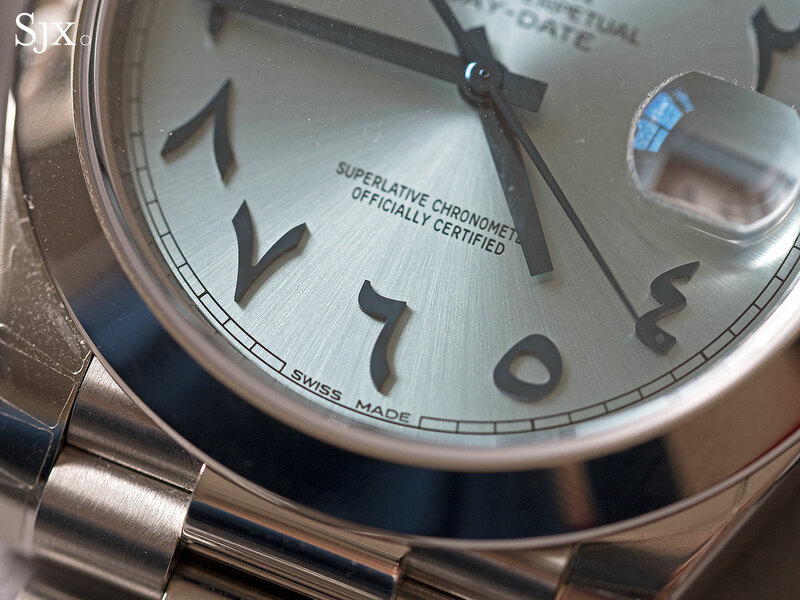 The Rolex Day-Date 40 “Arabic” is estimated at SFr40,000 to SFr70,000. 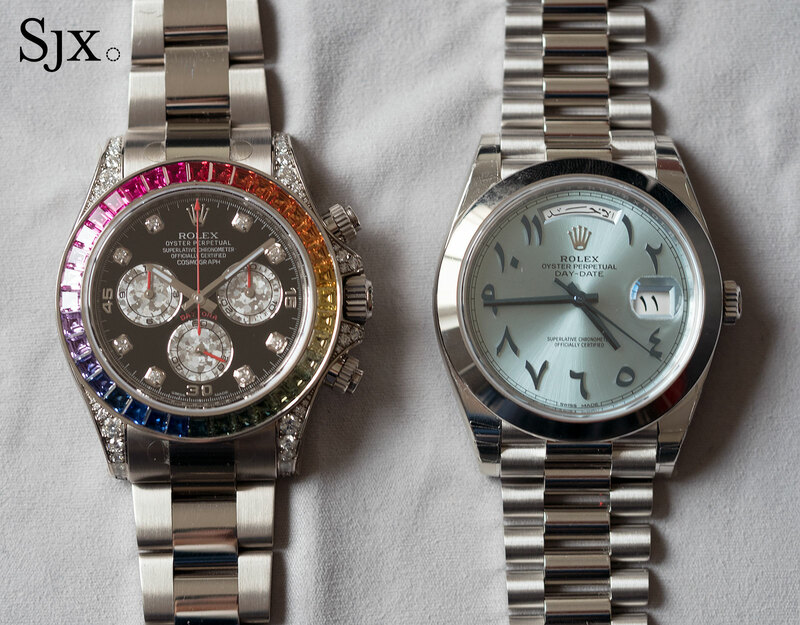 One lot later is lot 23, the Rolex Daytona “Rainbow” (ref. 116599RBOW). 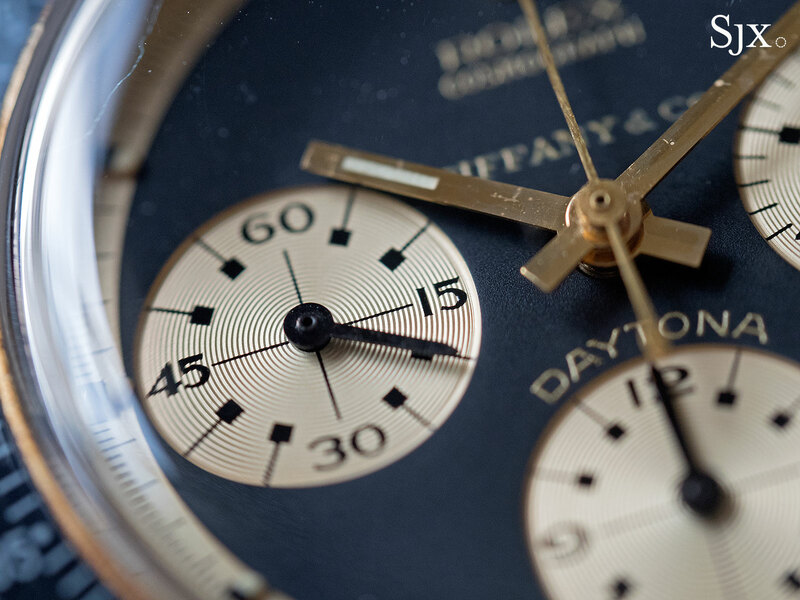 Introduced in 2012 and discontinued shortly after, apparently due to the difficult of sourcing the matching gemstones in graduated colours, the “Rainbow” Daytona had an uncommonly short production run for a modern Rolex wristwatch. 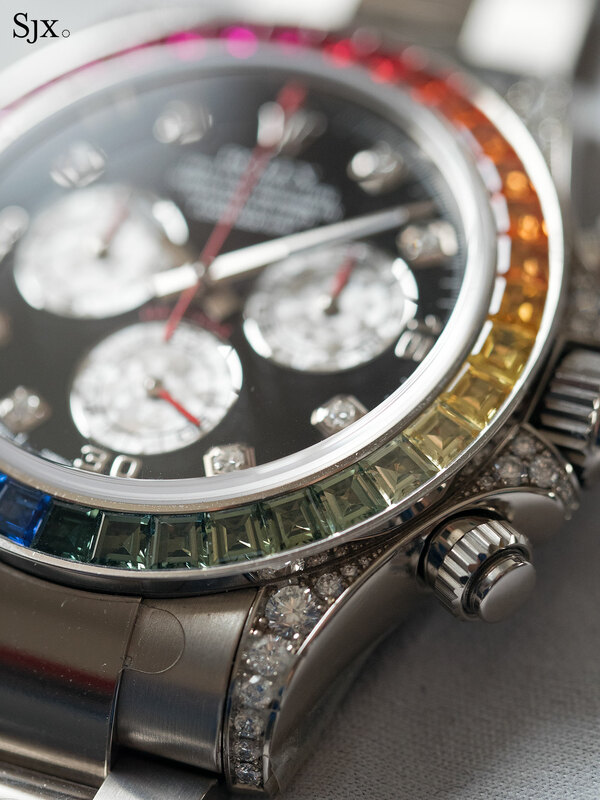 While the technicolour bezel makes it challenging to pull off, the “Rainbow” is a striking object and notably rare. That explains why it is selling for a multiple of the original retail price of just under SFr90,000. Here it is estimated at SFr80,000 to SFr120,000. 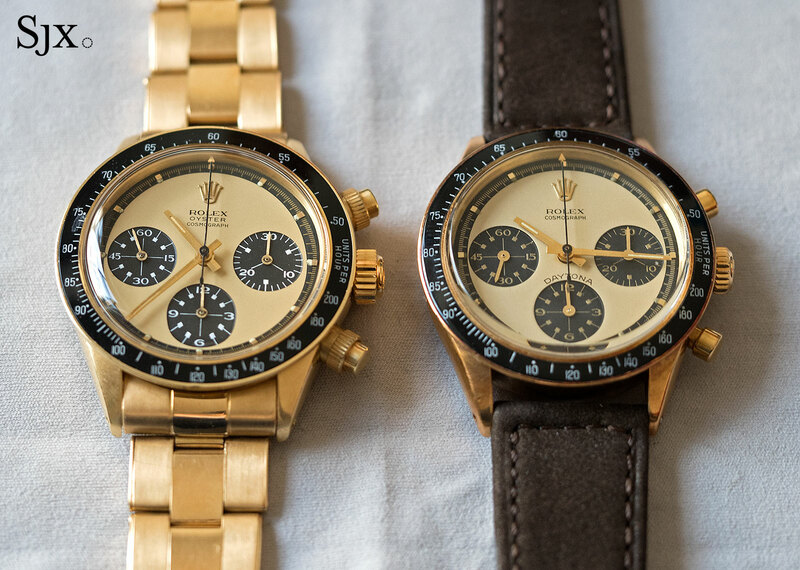 And then of course there are the vintage Daytonas, mostly of the Paul Newman variety. Lot 92 is the Daytona ref. 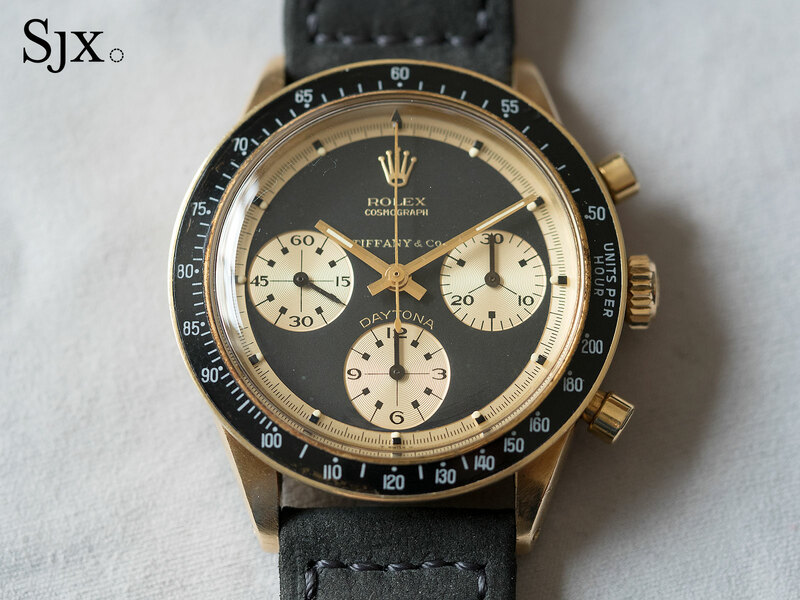 6241 “Paul Newman John Player Special”, retailed by Tiffany & Co. That’s a double nickname and double signature, which in Rolex math means quadruple the price. The watch gets its name from its handsome gold and black palette – the case is 14k yellow gold while the dial is black with gold print. That is reminiscent of the livery on Lotus Formula 1 cars of the 1970s, when the team was sponsored by cigarette maker Imperial Tobacco, which owned the John Player & Sons label. Nicknamed “JPS”, the gold and black paint scheme was used throughout the 1970s, a particularly successful decade for Lotus. Now it’s a quaint throwback to an age when cigarette advertising was acceptable. “Tiffany & Co.” just above the hands adds another dimension to the watch’s desirability, confirmed by the numbers scratched on the back of the lugs that are known to be part of jeweller’s internal numbering system. 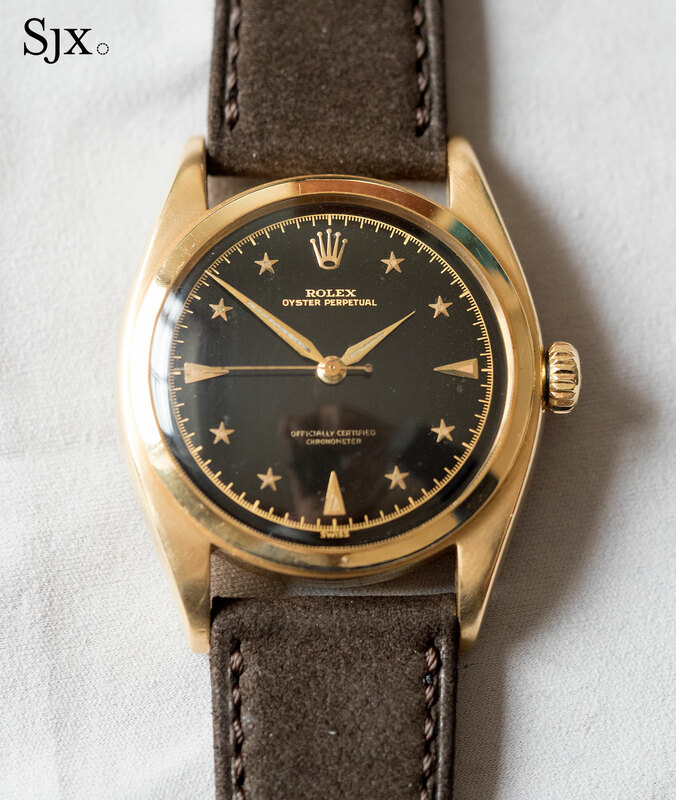 The case is 14k gold – an alloy typical of watches sold in the United States – the rarer version of the ref. 6241, which was produced from 1966 to 1969, mostly in 18k gold. This carries an estimate of SFr400,000 to SFr800,000. 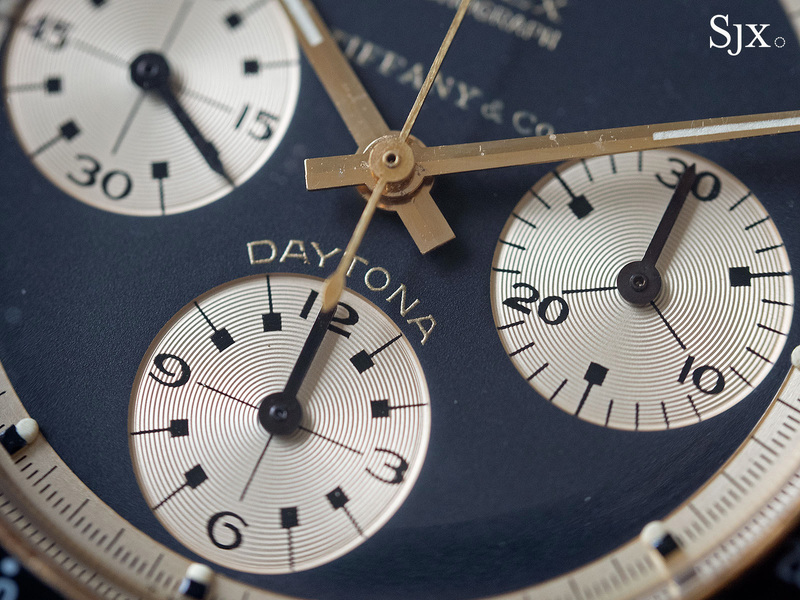 A day later a similar watch will go under the hammer at Christie’s, which will also offer a Daytona ref. 6241 “John Player Special”, in arguably better condition (it still has the sticker on the case back) but without the Tiffany signature on the dial. Lot 132 is a Daytona ref. 6241 “Paul Newman”, the same reference as the “JPS” above, but with more conventional features. Circa 1969, this ref. 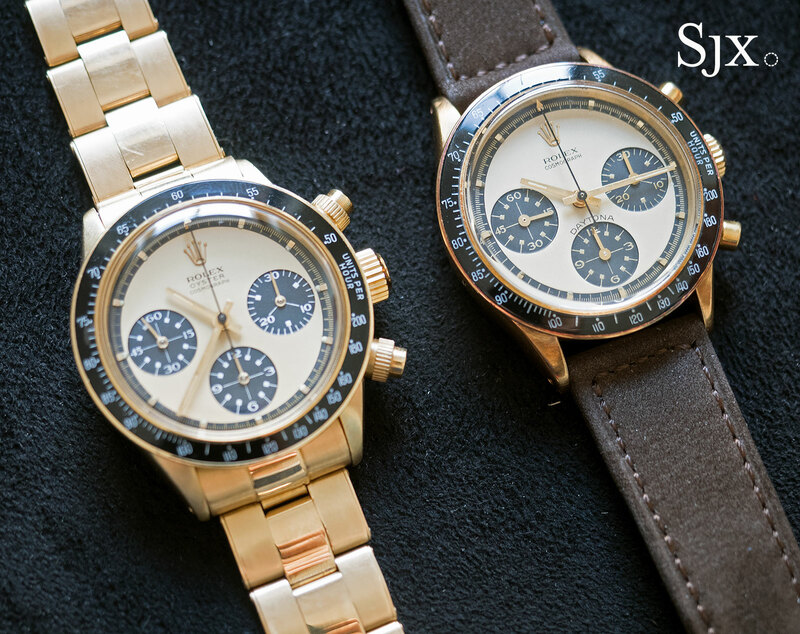 6241 (pictured above right) is also 14k gold, but with a pale champagne dial. 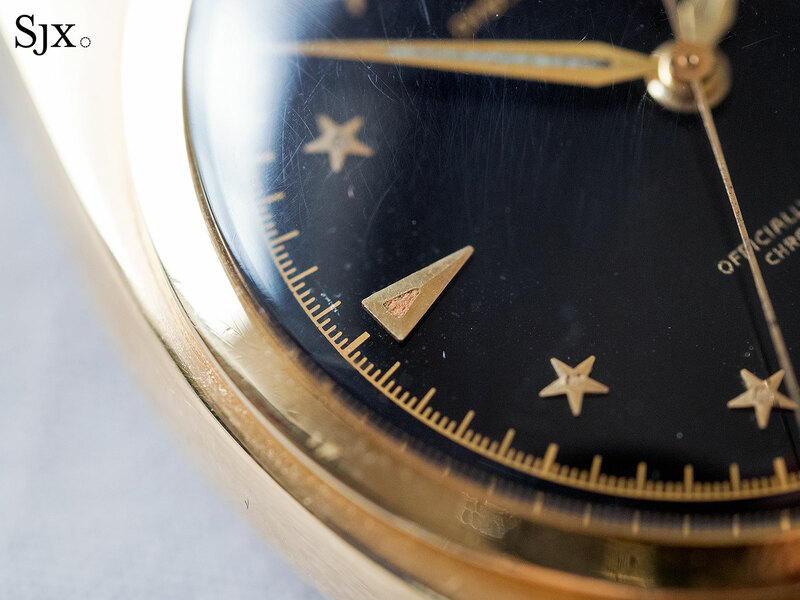 The gold case has a purplish patina on several surfaces, the result of oxidation that’s typical of being in storage for a long time – often a badge of honour in vintage watch collecting since it implies lack of use. This is estimated at SFr200,000 to SFr400,000. 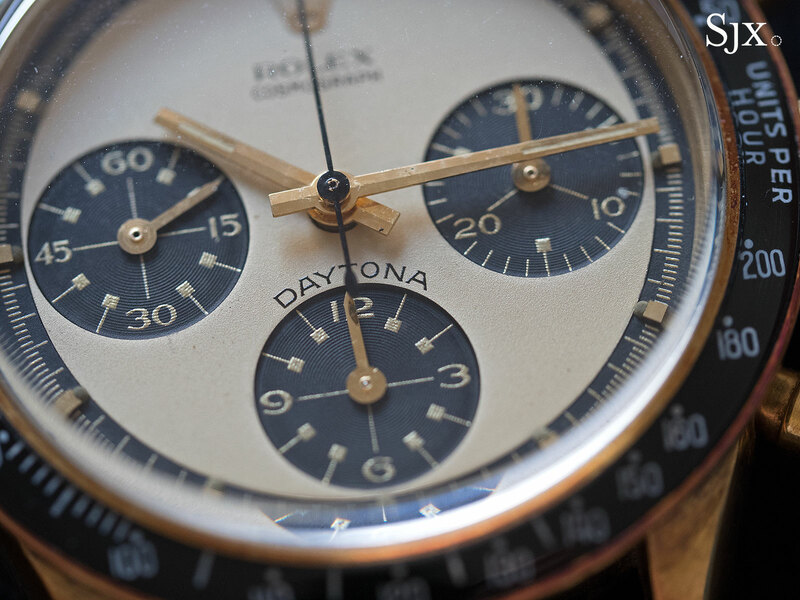 But the Daytona that trumps them all is lot 237, the Daytona ref. 6263 with a “lemon” dial, a reference to the pale yellow face. This is a variant so uncommon that another example was bestowed the hyperbolic nickname “The Legend”. 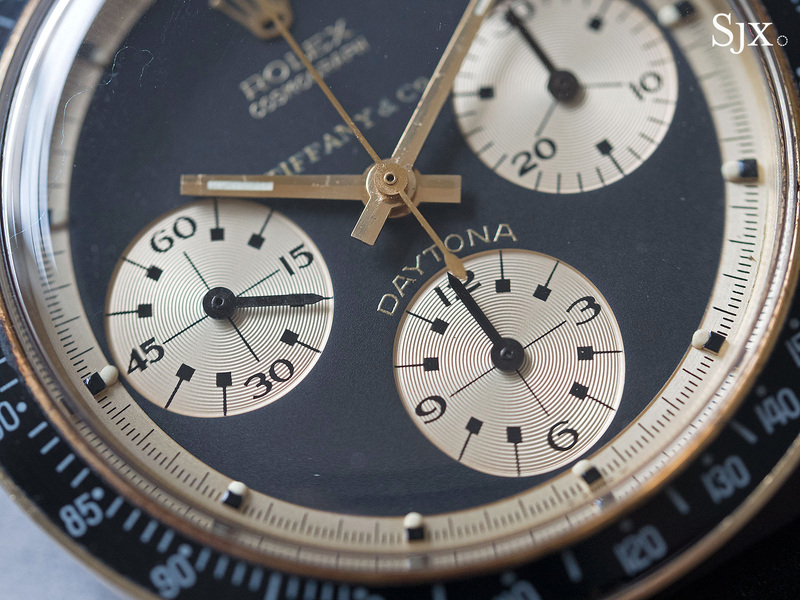 This combines several features found on various Daytona models that are exceedingly rare together, namely the 18k gold case, screw-down pushers, and “lemon dial” with unusual typography. 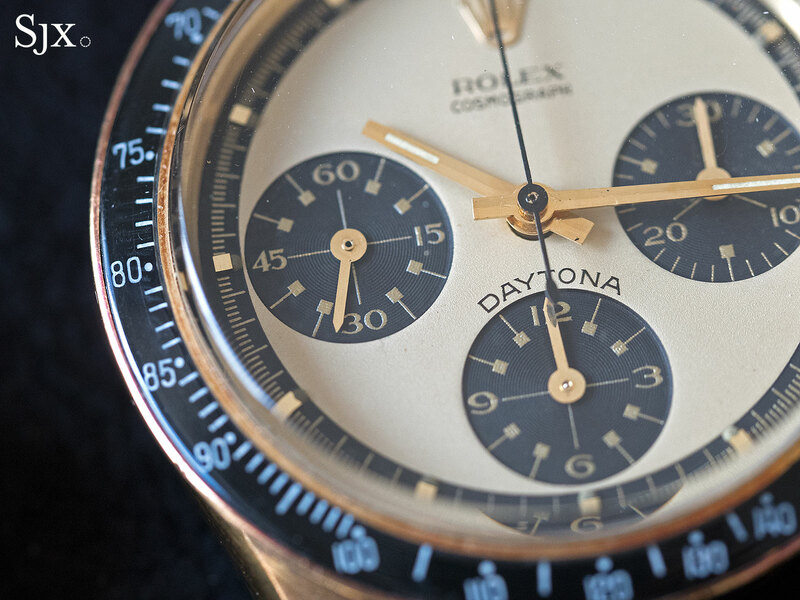 In fact, this watch is only the third example known, making it possibly the rarest Daytona reference ever. Fittingly for a legend, this ref. 6263 carries an estimate of SFr800,000 to SFr1.6m.